Abstract. Given a document, what are its author’s traits? Author profiling studies how language is shared among people. This task helps in profiling aspects such as age, gender, native language, language variety, and even personality. Author profiling is a problem of growing importance in forensics, security, and marketing. E.g., from a marketing perspective, companies may be interested in knowing from online reviews what people like or dislike their products. The focus of this tutorial will be on author profiling in social media since we are mainly interested in everyday language. We will describe how the best performing systems that participated in the author profiling shared tasks at PAN@CLEF (pan.webis.de/) addressed the problem. Finally, we will also see how it is possible to infer information such as irony or stance towards a specific target (product, event etc.). Short Bio. 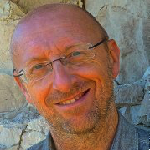 Paolo Rosso is a professor at the Technical University of Valencia, Spain where he is also a member of the PRHLT research center. His research interests are focused on social media data analysis, mainly on author profiling, irony detection, opinion spam detection, social copying and plagiarism detection. Since 2009 he has been involved in the organization of PAN benchmark activities, since 2010 and 2011 in the framework of CLEF, where he is also deputy steering committee chair for the conference, and FIRE evaluation forums, mainly on plagiarism / text reuse detection and author profiling. He has been also co-organizer of the shared task on sentiment analysis of figurative language in Twitter at SemEval-2015. He has been PI of several national and international research projects funded by EC, U.S. Army Research Office, and recently Qatar National Research Fund. He has been advisor of several PhD students, chair of *SEM-2015, and organization chair of CERI-2012, CLEF-2013 and EACL-2017. He has served as reviewer in top conferences and in several journals. At the moment he is associate editor at Information Processing & Management. He is co-author of 50+ articles in international journals and 400+ articles in conferences and workshops.